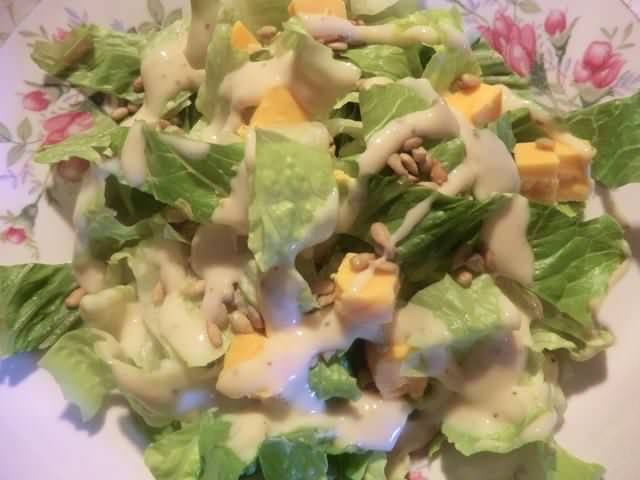 Hamburgers and Salad | Cooking is Fun … Really!! Hehe, the best meals are the ones where you go back and thaw something because it was so good the first time. 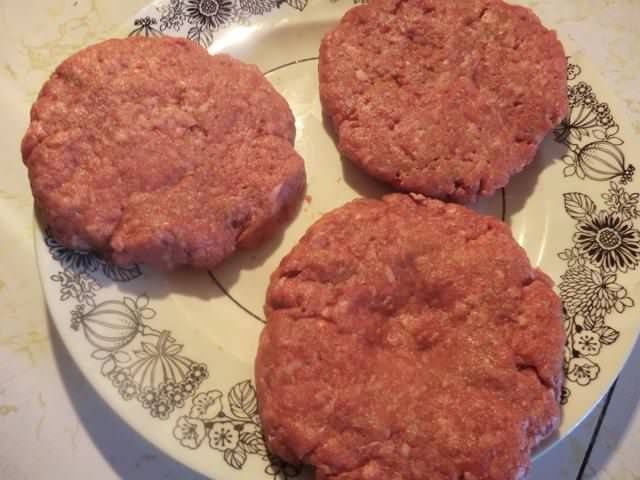 Strangely I’m not a fan of beef burgers (ground beef alone is a problem for me… I always crave some pork with it! ), but I prepare them often for my husband. 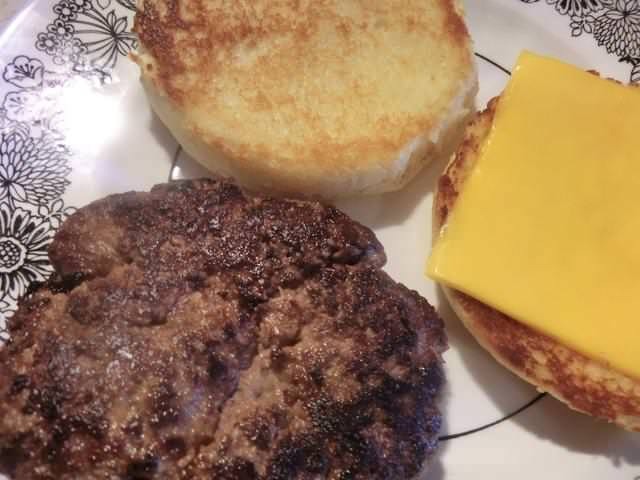 Your burgers look wonderful. I never freeze ground meat (only once it’s cooked), so I recently forgot a package and had to throw it away (I was furious, but it was several days pas expiry date). Does the texture change a lot? You should eat what you like, Sissi. I buy frozen ground beef, or divide fresh into 1 lb packages for future cooking cause there are lots of things you can do with it. 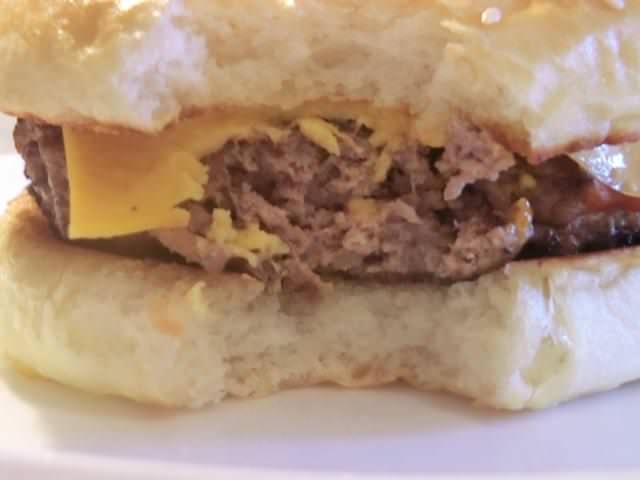 I think pork (and its fat) adds a lot of juiciness to the burgers. 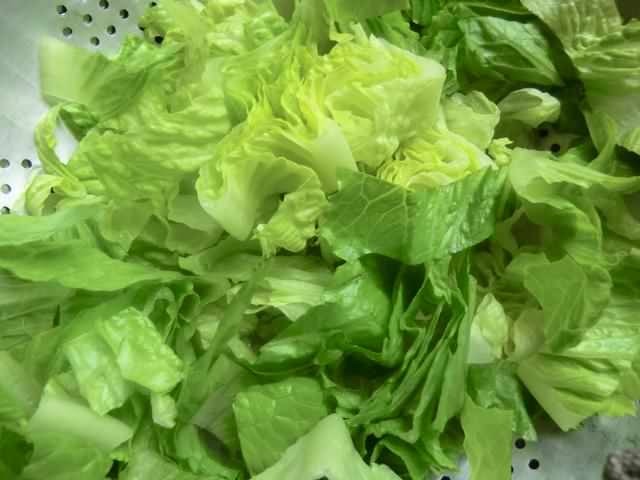 We in the west are very ‘fat’ conscious, not necessarily HEALTH conscious, so we buy lean or extra lean ground beef, and then either over cook it so it dries out, press out all the good (fat) juices during cooking or adulterate the flavour with a bunch of add-ins which are supposed to keep it moist. Purists grind their own sirloin for the burgers and just add a bit of salt and pepper so you taste BEEF. 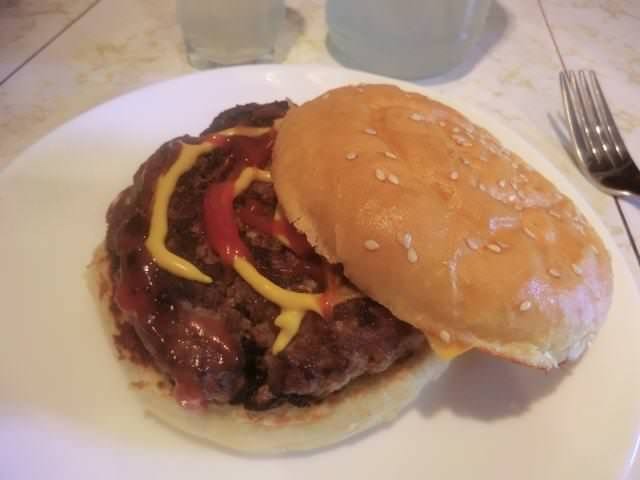 I’m not a great beef burger maker, and probably got corrupted by the terrible burgers I got as a teen at fast food chains like Harvey’s when I was going to high school and university so I don’t really know what a burger SHOULD taste like. 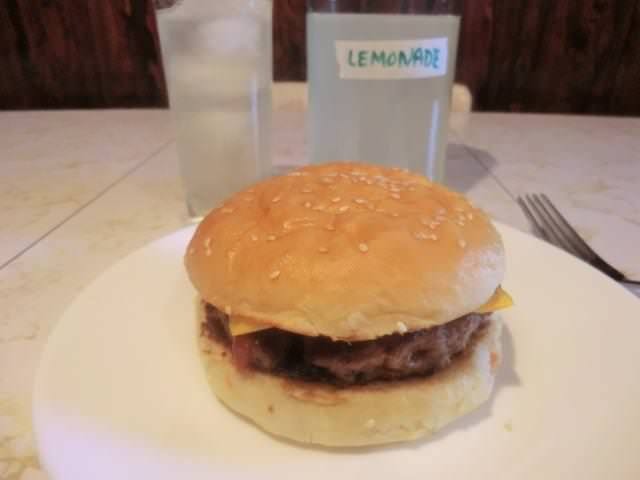 I’ve had pricey $12-14 dollar burgers at fancy grill type restaurants and wasn’t impressed.